There are many voices of Iraq and Afghanistan war veterans. One that caught my ear today is from Marine Sergeant Roman Baca. His story, as told to Jonathan Wei, is featured in the Village Voice. 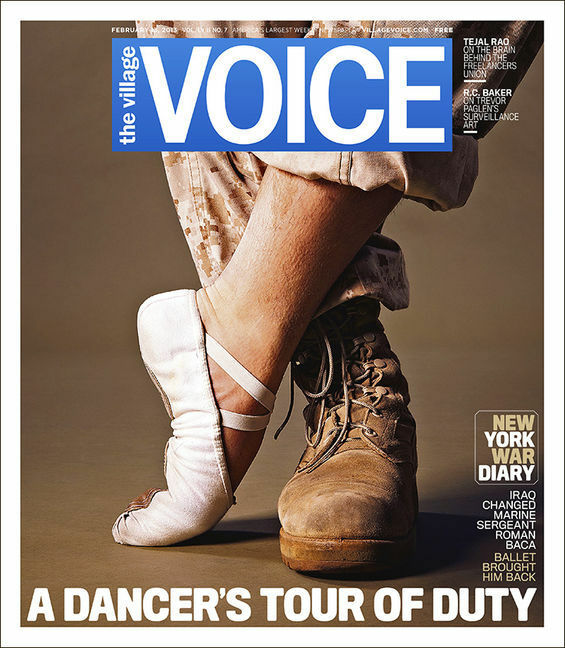 It’s about Baca’s life as a ballet dancer turned Marine combatant and how ballet brought him back after a tour in Iraq. And she’s like, “You’re not OK. I don’t like the person you are.” She said I was anxious, I was depressed, I was angry. I was mean. I had some episodes when I was driving on the freeway, and traffic was getting bad. I wanted to ram into other cars. Posted on February 14, 2013 by Lloyd Lofthouse. This entry was posted in Uncategorized. Bookmark the permalink.